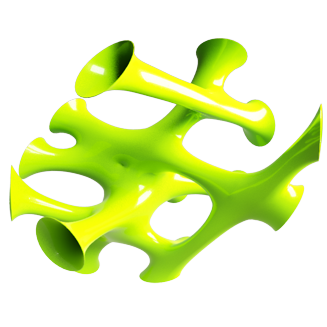 Base Plug-in containg tools and routines to use in Rhino and Grasshopper to model structure, relax meshes and perform tasks like Curve Network Cell Generation. 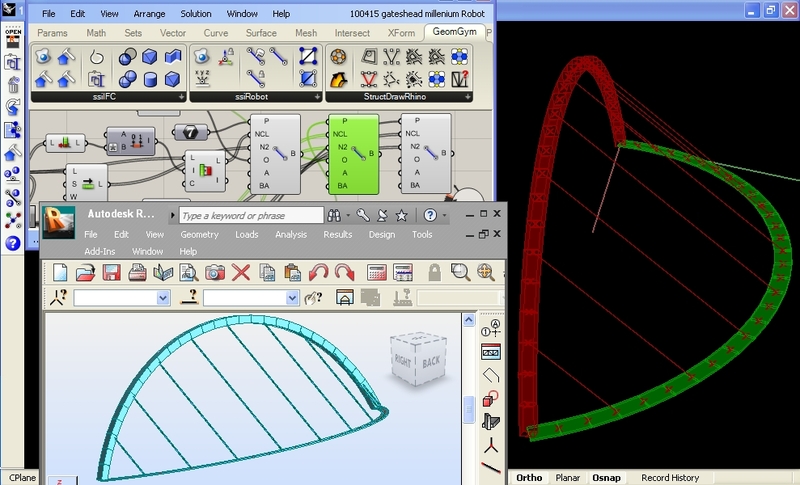 StructDrawRhino features comprehensive commands to enable modelling members such as Steel Beams. International standard profiles are included in the plug-in library, which can be easily extended with custom user profiles. Parametric profile from a property table can be applied to a document layer (swept along all curves within layer) or discrete curves. 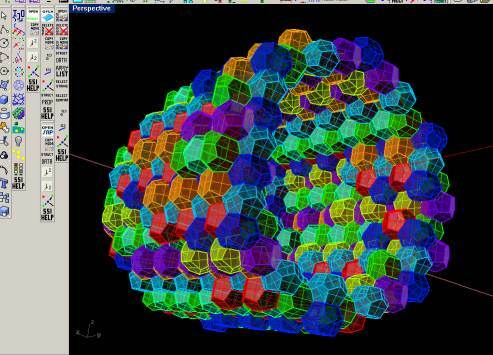 Profile table may be exchanged in bulk to external software. Swept profiles are updated automatically if rail curve is altered by user. 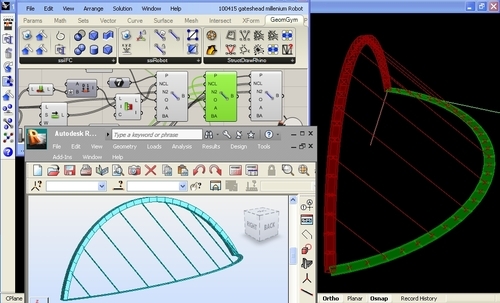 Data may also be exported to other BIM/structure modelling programs such as REVIT, Tekla via neutral BIM exchange files such as IFC, CIS/2 or SDNF using the Geometry Gym plug-ins below. 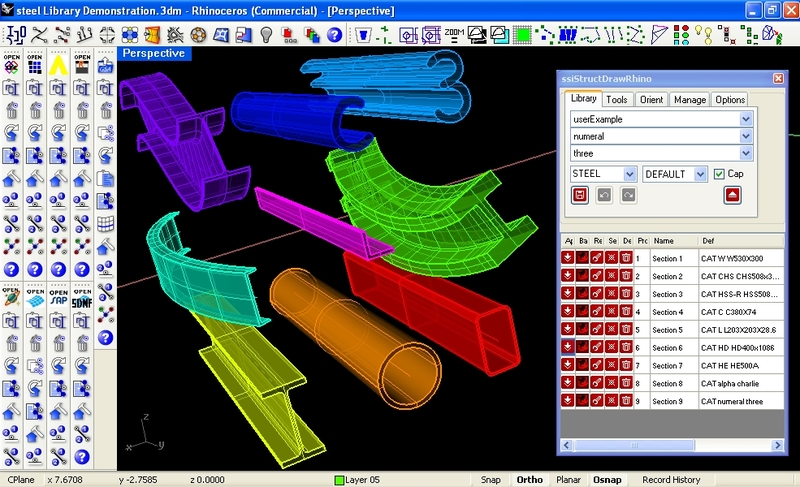 Plug-ins for Rhino and Grasshopper specific to generating and exchanging data with external Structural modelling programs including Tekla, GSA, Robot, SAP2000, Sofistik, Strand7 and SpaceGass. Neutral file formats and specifications including IFC, SDNF and CIS/2 are also available, allowing BIM interaction with programs such as Digital Project, REVIT, Bentley and Tekla amongst others. Plugins are available to import advanced IFC files into Revit, Navisworks andTekla.